Integrated accounting and inventory management software is ideal for small business owners who want to improve inventory management and better manage customer and supplier relationships, and also require advanced business reporting. 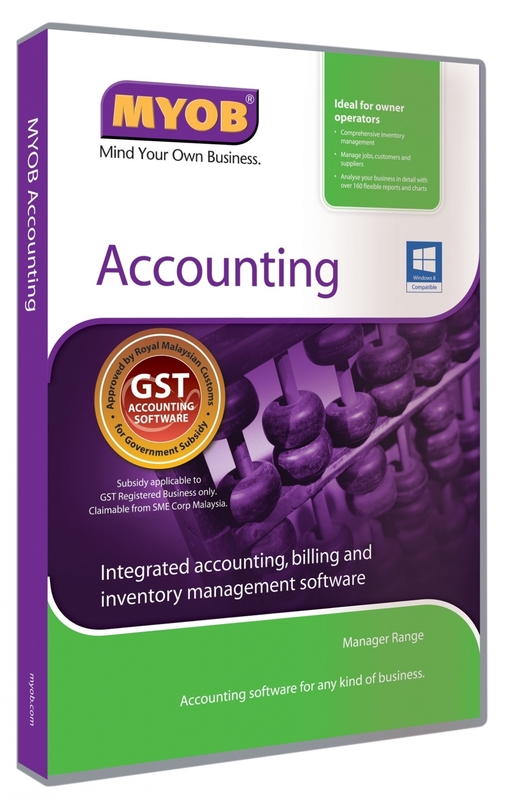 MYOB Accounting avoids accounting jargon and is easy to use. Its award winning design guides you through the automation of your accounts, making it easy to track all your accounting data. With MYOB Accounting's powerful inventory management system, you'll always know exactly what's in stock, on order or committed. Features Highlight: General Ledger, Cashbook, Accounts Receivable, Accounts Payable, Stock Control, Cheque Printing, Contact Management, Budget, Project & Job, 150+ Standard Reports.